Knowledge Management Specialist might seem like an overly broad job title. That's appropriate in a way because, in the Air Force, these specialists are responsible for coordinating and distributing information across all departments. These airmen plan, coordinate, share and control data and information assets. This includes managing technologies to capture, organize, and store both tacit and explicit knowledge. This job is responsible for updating data vocabularies and metadata catalogs, which allows data to be accessed, tagged and searched regardless of physical location, media, source, the owner or other defining characteristics. They also structure data and information for specific purposes in a specific context for collaborative groups of users and manage databases for the storage, modification, and retrieval of information. This is information that may be used to produce reports, answer queries and record transactions. These airmen also develop workflow procedures and train others on how to use them. They make sure information is published in a timely fashion and is kept up to date, and oversees compliance and management of any tools used to publish official Air Force documents and data. And they are responsible for making sure the Air Force is complying with legal and statutory requirements in publishing and handling information. This includes developing internet and e-mail use policies and creating manual and electronic file plans. It also involves being familiar with the Freedom of Information Act (FOIA) and the appropriate procedures for compliance. Like all Air Force recruits, the training for Knowledge Operations Management specialists starts with boot camp (formally known as basic training), followed by Airmen's Week. For their technical school assignments, these airmen take the Knowledge Operations Management course at Keesler Air Force Base in Biloxi, Mississippi. This lasts approximately 37 days and results in the award of a 3-skill level (apprentice). Following basic and tech school, airmen in this AFSC report to their permanent duty assignments, where they are entered into 5-level (technician) upgrade training. 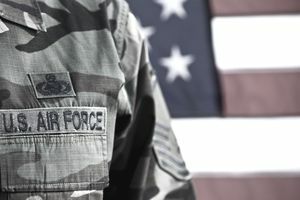 To be eligible for this job, recruits need a composite score of at least 28 in the administrative (A) section of the Air Force Qualification Area of the Armed Services Vocational Aptitude Battery (ASVAB) tests. In general, a security clearance from the Department of Defense is not required for knowledge operations management specialists. But there are some assignments where security clearances may be necessary if the airman will be handling sensitive or classified information on a regular basis. Airmen in this job need a high school diploma or its equivalent, ideally with courses in business, English composition, computer science or information systems, mathematics and technology.